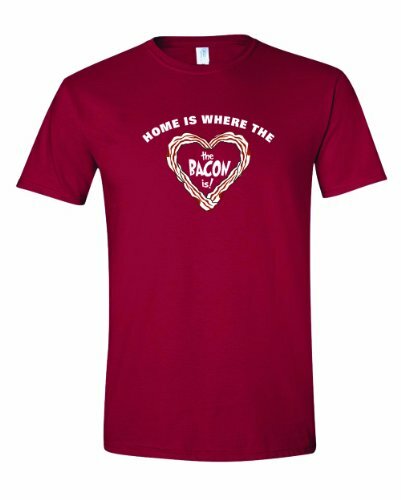 I think we can all agree that bacon is just fantastic food so what better than to give the gift of bacon to your loved one this Valentine’s Day? 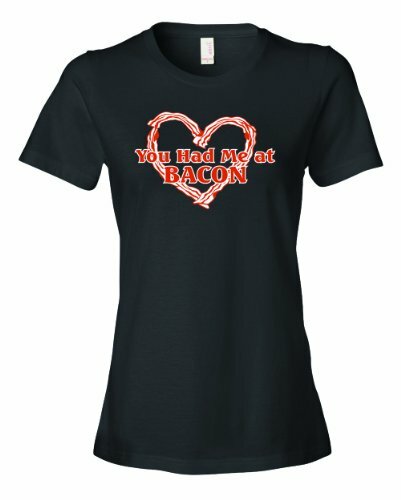 Bacon lovers everywhere are spoiled for choice when it comes to bacon themed gifts but today, I’ve found some that include a little romance, perfect for Valentine’s Day. 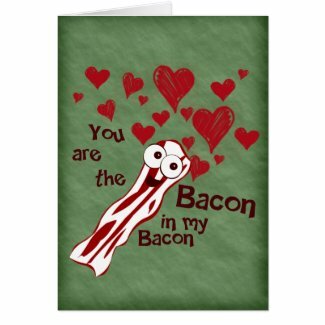 If your loved one is bacon crazy, then a bacon themed Valentine’s Day card is a perfect choice. 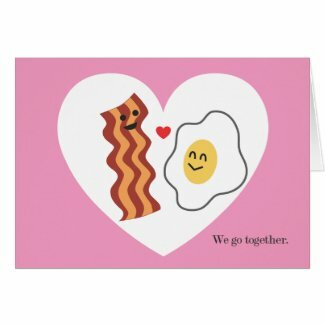 I particularly like the bacon & egg card – I love bacon and eggs together – and as the card says ‘we go together’ is a lovely Valentine message. T-shirts aren’t always the obvious choice for Valentine’s Day but these three are cute as well as a little bit lovey-dovey. 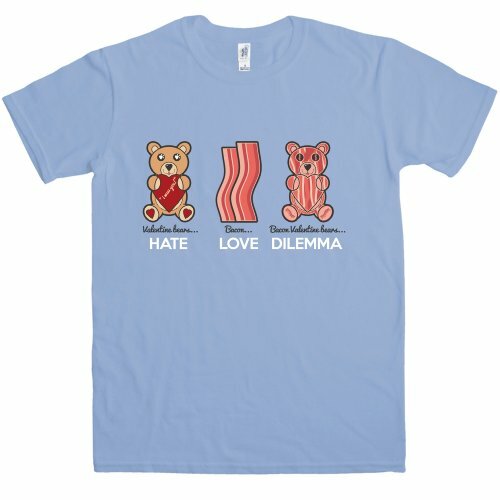 I really like the bear and bacon cartoon style t-shirt – who wouldn’t love a bear made of bacon after all? 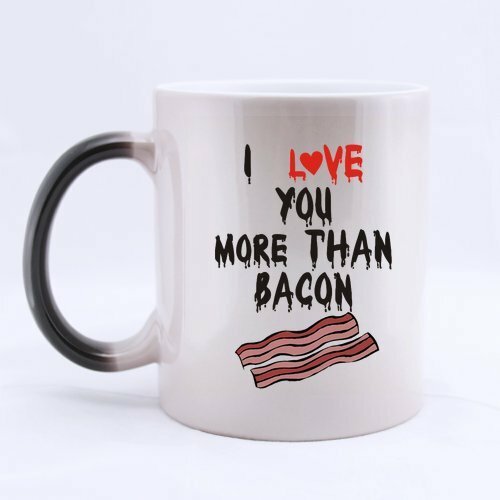 When you think of romance, you don’t usually think of coffee mugs either but if you’re having bacon for breakfast then you need an appropriate coffee mug too! 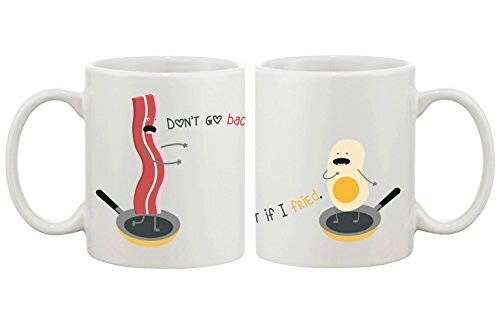 I really like the bacon & egg pair of mugs – perfect for any couple and such a nice loving message on them too. 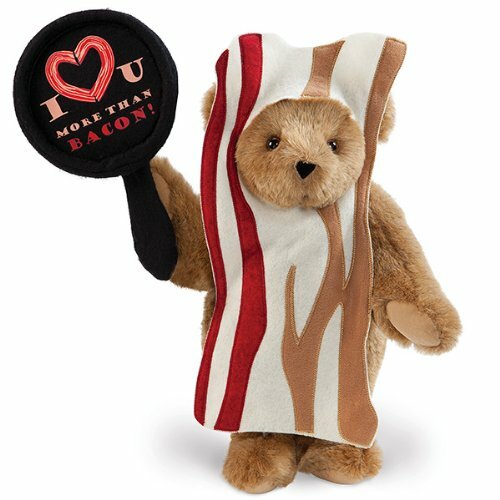 Finding a romantic, Valentine bacon plushie was tough but I did find one – a cute teddy bear wearing a bacon costume and carrying a frying pan! 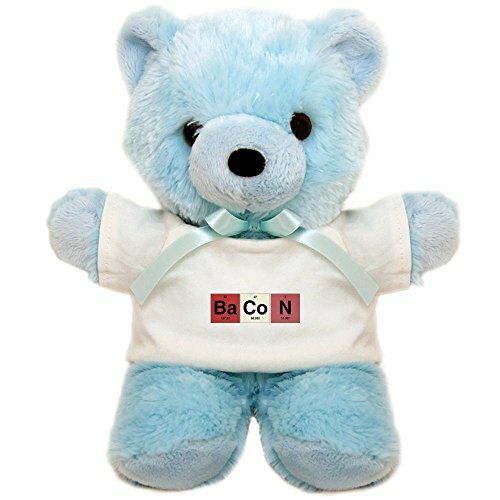 The blue teddy bear is wearing a little t-shirt with the periodic table style Bacon on it – perfect for a bacon lover or a science geek who likes bacon! Lastly, we have some bacon themed gift sets. 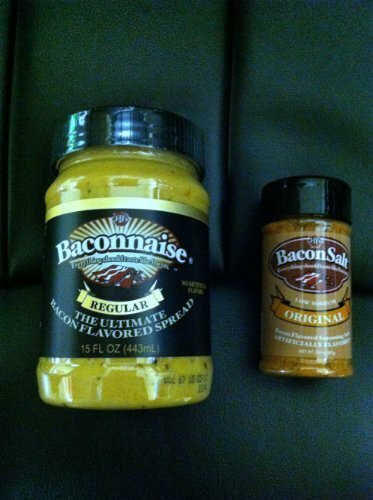 I’ll be honest, I’m not sure I want baconnaise anywhere near me but the bacon in bed bundle looks like fun. 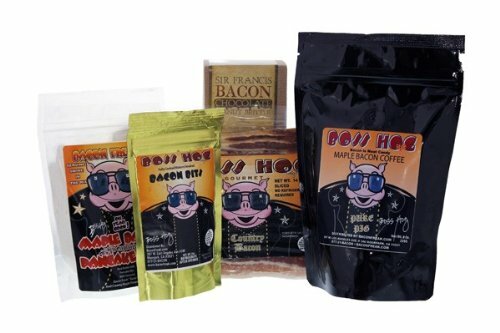 It includes not only bacon but bacon flavored pancake mix, bacon bits and maple bacon coffee too. 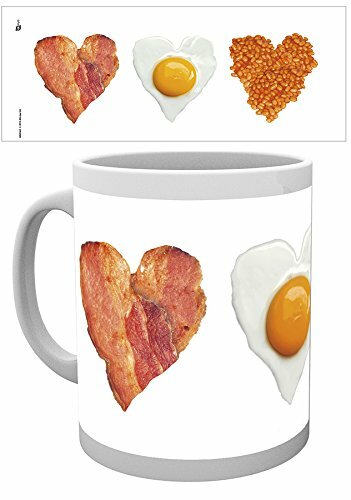 Perfect for a romantic bacon-y Valentine’s Day breakfast or you could just stay in bed and make it brunch! 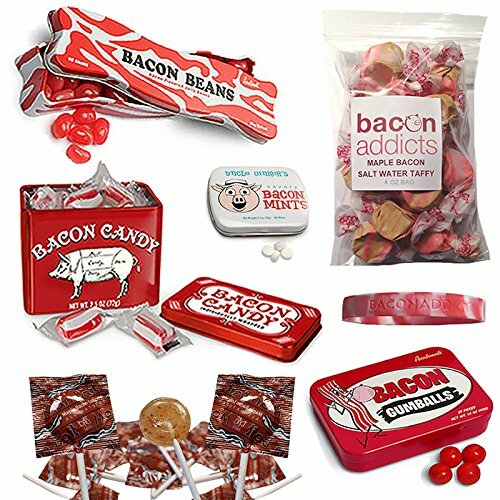 The bacon candy gift pack looks crazy to me – but it includes gumballs, mints, lollipops, taffy and jelly beans – all bacon flavored of course! 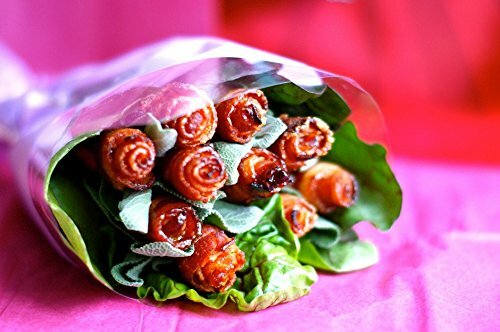 And for that last glorious meaty romantic touch, add a dozen bacon roses to your gifts and she’ll love you forever. If you’re really clever, you could make one of those woven bacon strip baskets too. I have a bacon weave tutorial pinned on my Pinterest board if you want to try it! 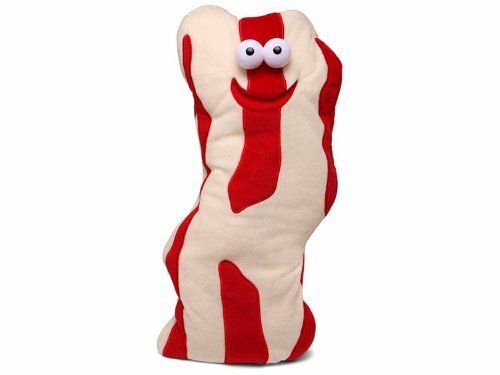 It seems there is an endless variety of bacon themed gifts so don’t forget to check out our earlier post with 24 other crazy bacon gift ideas if you need more inspiration. Many are smallish items so you could go totally overboard and add loads of them to your Valentine’s Day gift basket. 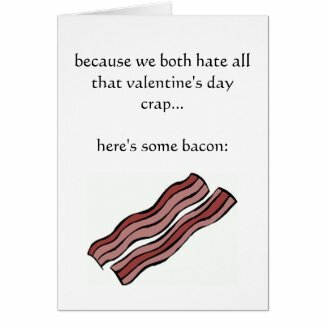 Perfume and cologne are often considered perfect gifts for Valentine’s Day but can I suggest you avoid any bacon scented versions? I think that might be going just a touch too far down that road!